the questions were “when” we should buy a boat and “what type” of boat we should get… never “should we.” We figured it was inevitable. 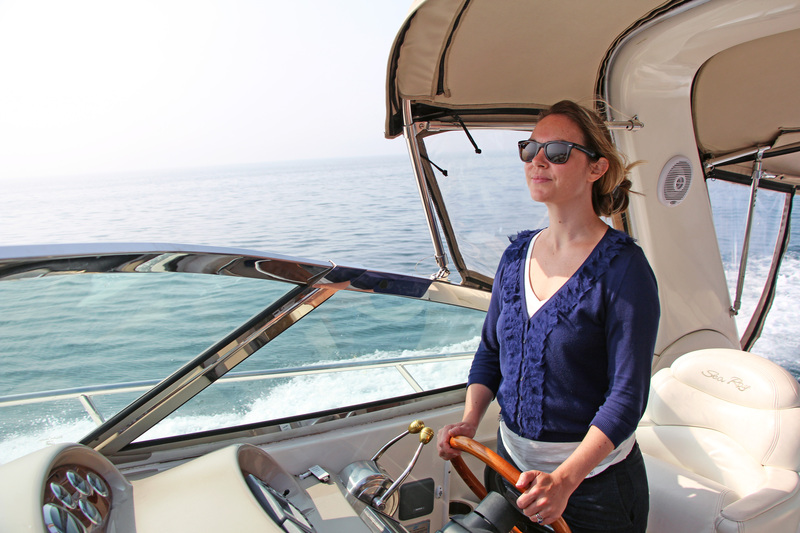 A pleasure boater by birth, I became a yachtsman by marriage. Growing up, I spent a lot of time on the water at the cottage on smaller runabouts and PWCs. On the other hand, my wife, Jay, spent her childhood weekends with her parents on a 28-foot boat – which seemed like a massive yacht to her in those days. 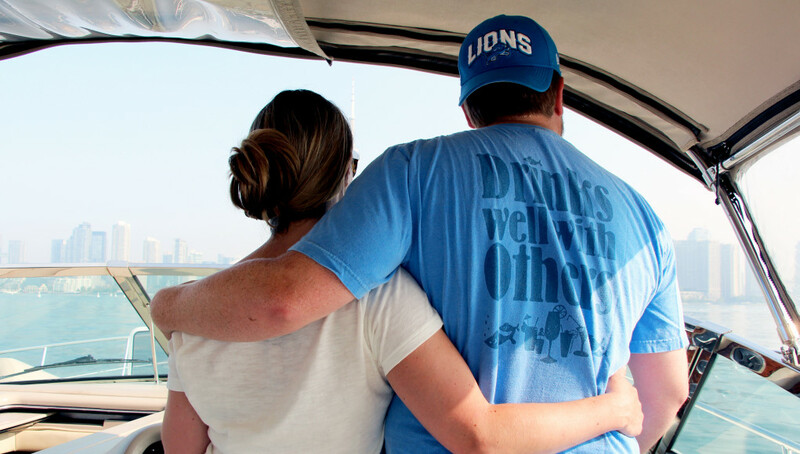 When Jay and I got married last year, we had already been down the long road of buy-a-boat discussions – of course the questions were “when” we should buy a boat and “what type” of boat we should get… never “should we.” We figured it was inevitable. Jay’s father, Brian, was in the business – both as a boat salesman and the owner of a fishing charter in Lake Erie – and so he was our de facto advisor on all things boat related. Whenever we stumbled upon a listing that landed somewhere between mildly interesting and hotly desired, we’d shoot it Brian’s way for a second opinion. 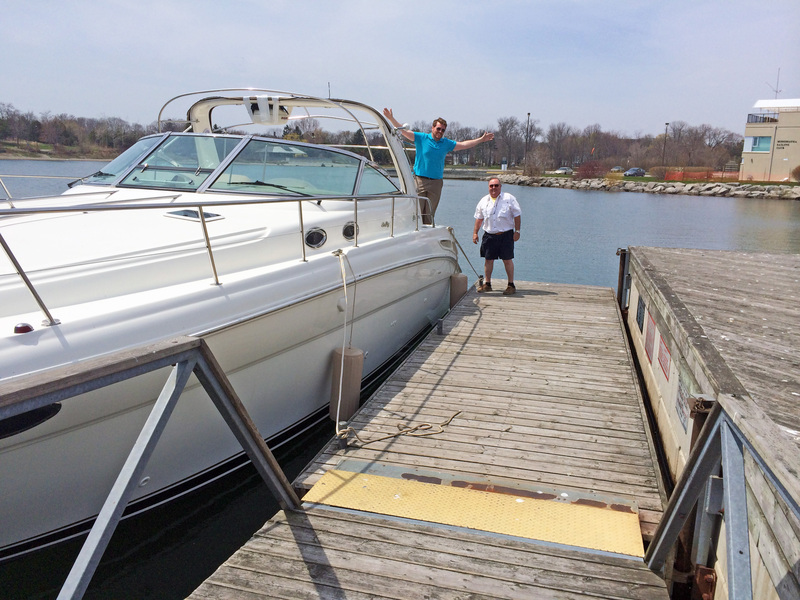 Our boat shopping efforts ramped up notably over the long and frigid winter. Fast-forward through a few dozen listings and a one for a 2001 Sea Ray 380 Sundancer we half-heartedly sent along was greeted not with a prompt email reply, but an enthusiastic phone call. Brian sold Sea Ray boats as part of his long and interesting boating backstory. Not only was this 2001 Sundancer in great shape, but it was a good price. It was also an old business friend of Brian’s selling the boat, so I made the drive to check it out – in January during one of the coldest winters in decades. Sounds like prime boat shopping time, right?? As it turns out, the boat was perfect for us. My 6-foot-1 frame could walk around without ducking down below in the cabin, it had plenty of outdoor space, looked fantastic, and had the glowing recommendation of my father-in-law. What more does one need? So we went for it. In a matter of months I went from someone who enjoyed boating but had almost exclusive experience on runabouts to being co-owner of a 38-foot sport yacht. Go big or go home, right? Now we were set to be on our own, newlyweds set adrift with ownership papers to help rekindle any stress that may melt away should we have too good a time. Our excitement warmed us through the freezing temperatures as we awaited days of warm sun, purring engines and calm waters. Then Jay and I realized we owned a 38-foot boat. We had both piloted boats as large as 50 feet at some point in our lives, but always with someone alongside us at the helm. Now we were set to be on our own, newlyweds set adrift with ownership papers to help rekindle any stress that may melt away should we have too good a time. So we decided to take a multi-week Canadian Power and Sail Squadrons course as a refresher on charting and navigation, we secured a slip at a marina we had scoped out years ago, and we waited for Jack Frost to bugger off. Well, if you boated this year you know it took a while, but he got the hint and by mid-May we were finally able to take delivery. Not to bore you with the intricate details of our living arrangements, but Jay and I rent an apartment in Toronto. 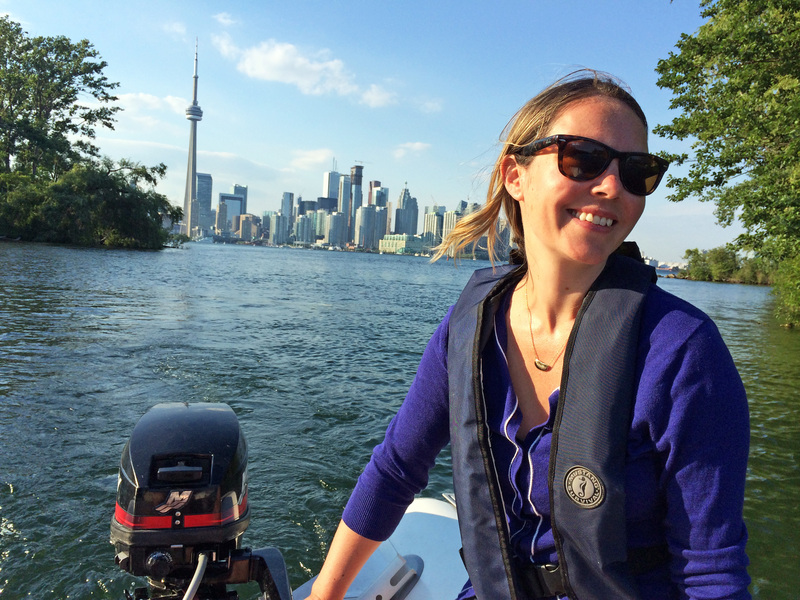 Given our personal preferences, the cost of ownership in the city and our desire to have a solid work-life balance, we’re happy with this choice, but in many ways it means buying our boat was our first home purchase. It sleeps just as many as our apartment does! “Starter Home” was definitely in the running as the name for our new-for-us vessel. (For traditionalists, there was no name on the Sea Ray when we bought it so renaming it does not a nautical catastrophe make!) However, Jay and I met as children and she was my first crush. After three continents, multiple careers and 25 years that childhood affection finally manifested itself into a marriage – needless to say, “Worth the Wait” eventually won out. It suits us perfectly and has a nice ring when we radio marinas so we’re sticking with it. But I digress. There we were in May, happy boater owners with our boat splashed and looking beautiful, left looking out over Lake Ontario … and it hit us. We really did buy a floating starter home in our first year of marriage. And, on top of that, we had to get it to the marina and docked in one piece. Did I mention the ownership papers? A boat that may have initially seemed too small for our needs – we wanted to avoid Footitis and hoped for something we could keep for years – suddenly felt like a behemoth. Seriously, have I mentioned the ownership papers yet? But, learning an early life lesson in marriage along the way, we faced it together as a team and kept a smile on our faces the whole time. Ok, most of the time. Once docked, we were able to investigate the guts of the Sundancer a bit more. We found out our generator wasn’t working and we had a wonky engine. Neither were massive issues in the end, but it was yet another new challenge. With inexhaustible thanks to my father-in-law and his friends for their wisdom, advice and sweat equity, we got it all fixed up. Then we found we had wobbly power situation given certain conditions. Challenge, the second! Given where I was just six months prior, it’s hard to believe I’m now elbow-deep in the guts of the boat fixing a Vacu-flush power issue, jumping dead batteries and reconnecting hoses to the engines. And I love it. The terror of the first pass through Toronto Inner Harbour and docking in a busy marina (with much more expensive boats helmed by people that seemed quite intent on me not hitting them) has faded to an enjoyable and rewarding challenge. Now I’ll pop our boat onto the fuel dock if we need another bag of ice before heading out for a few hours. Sure I could walk the 100 metres before leaving, but this way is much more fun! 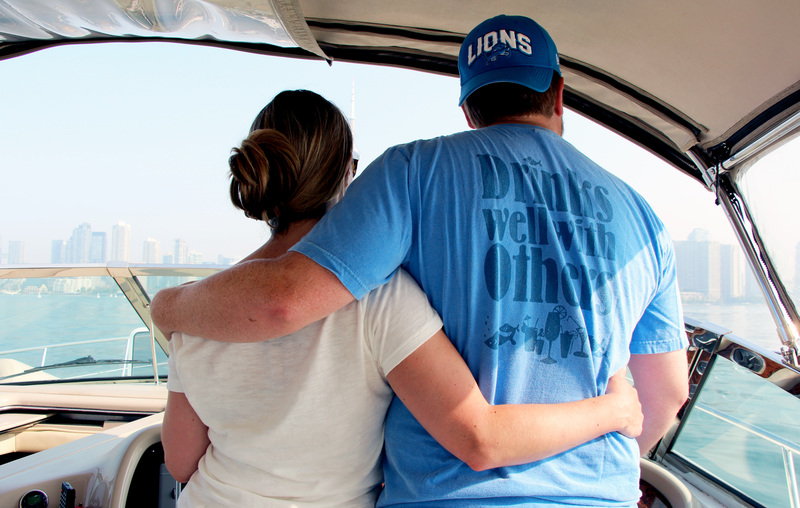 Our good times are in no way limited to the wide-open waters. 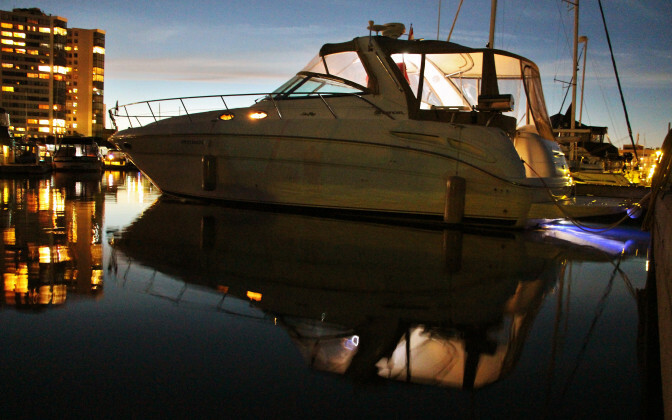 For us, at least half of the joy of boating is life at the marina and the friends we make there. Our marina has great people, a fun restaurant/bar and great live music on weekends – all reasons we chose it as the place to dock our starter home. The fun continues when we manage to pull ourselves away from dry land. We take family and friends out for a barbecue lunch on the lake. We explore areas of Toronto we have only ever enjoyed from the land and learned a whole new appreciation for the city’s lakefront. We even ran the length of the lake just three months into our adventure – seems about right for us… go big or go home yet again! With Jay and her parents aboard, we travelled from Toronto to Cobourg, where my mother and stepfather joined us for dinner and drinks. To be honest, it was down to the wire whether Mom would continue on the journey with us. She’s a boater at heart! But she relinquished the idea for promise of another trip another time. On day two, we headed to Kingston for a few days of visiting some of Jay’s old haunts (she’s a Queen’s alumna). Then, as if we hadn’t taken our maiden overnight voyage far enough, we continued through the Thousand Islands to Rockport. Oh ya, then we had to come back. The boating gods had cooperated on our outbound leg, but they sure made up for lost time as we headed home. Big rollers suddenly reminded us why this lake is one of the Greats, and they didn’t let up for most of the day. But we had to get everyone back home for work so stopping was not an option – another new reality compared to my day-boating background. But like everything from engine problems to perfecting recipes with a small barbecue, a stovetop and no oven, we learned to make it work and came out stronger on the other side. Now as summer fades to fall and Jack Frost is prepping for his triumphant return, I look back over our first season with our floating starter home and think: why didn’t I do this years ago? This article is featured in the Fall 2014 issue of Boats&Places. Steven Bull is an Associate Producer and Host of PowerBoat Television. He grew up boating on runabouts and PWCs on the lakes around Huntsville, while his wife grew up on cruisers. It only took months after getting married for Steve to adopt that lifestyle. 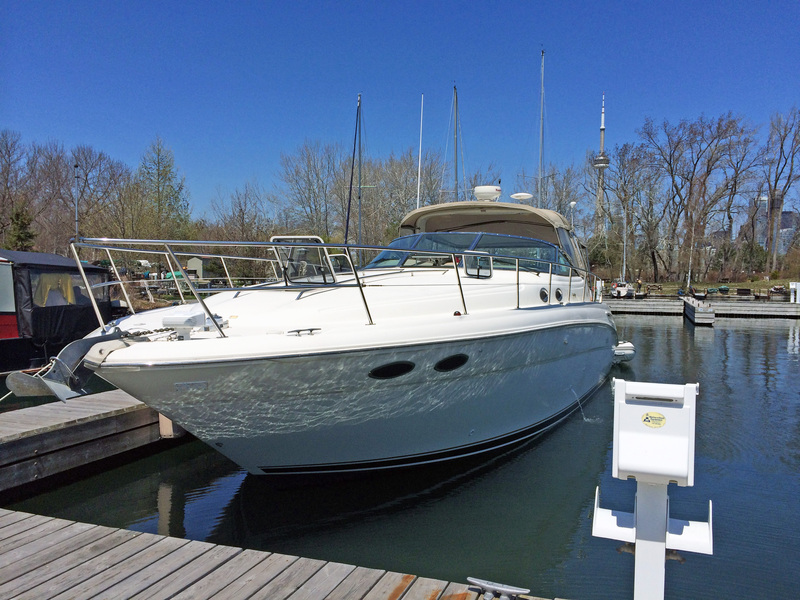 Together, they purchased a Sea Ray 380 Sundancer they keep at the Toronto Islands. A graduate of the University of Windsor’s business school, Steve worked in the front office of OHL and CFL teams before moving to Europe and working as a Ski Guide in the French Alps. He returned to Canada get a Master of Arts in Journalism from Western University (formerly UWO). 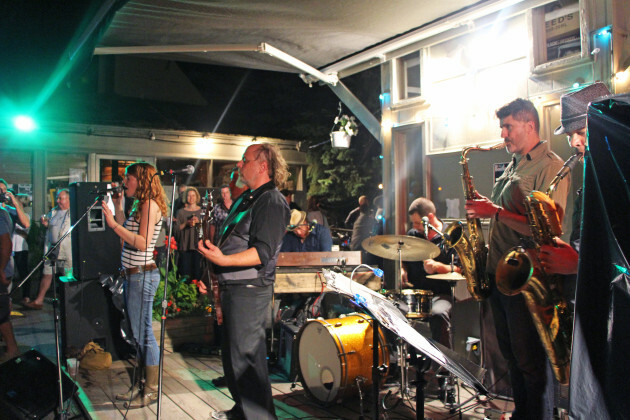 Steve’s broadcast experience ranges from the BBC World Service in England, to business reporter with NTV in Kenya, and from 2010-2014 as a multi-platform reporter and host with CBC News. 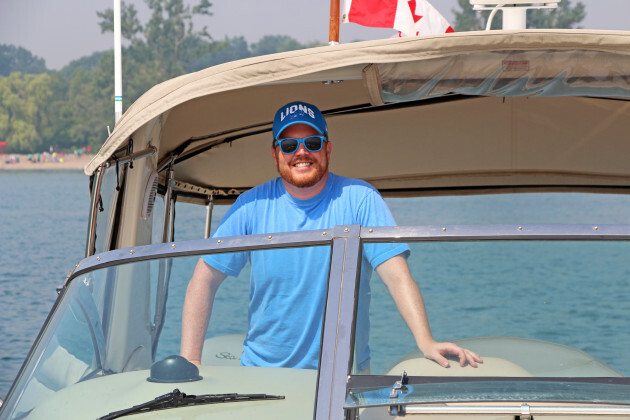 In 2014, Steve combined his passion for boating with his skills as a broadcaster by joining Lifestyle Integrated where he contributes to Boats&Places Magazine, BoatTest.ca, BoaterNews.ca, and of course, PowerBoat Television.